OWLS member Robyn E. Ridler Aoyagi was recently appointed to the Oregon Court of Appeals. The Oregon Court of Appeals presently has three vacancies, created by the elevations of Justice Meagan A. Flynn and Justice Rebecca A. Duncan to the Oregon Supreme Court, and by the retirement of Judge Timothy J. Sercombe. To these vacant positions Governor Brown appointed Robyn E. Ridler Aoyagi (Position 4), Judge Bronson James (Position 2), and Steven R. Powers (Position 7). 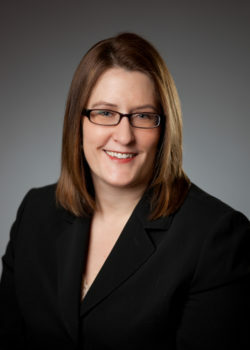 Robyn E. Ridler Aoyagi is a trial and appellate litigator at the Tonkon Torp law firm, where she has worked since 2000. She began her legal career as a law clerk on the District of Columbia Court of Appeals. She is a graduate of Tufts University and Harvard Law School. She is a member of the board of directors of Portland Story Theater and recently chaired a project on e-briefing for the American Bar Association Council of Appellate Lawyers, of which she is an executive board member. She also is past chair of the Oregon State Bar Appellate Practice Section Executive Committee.